This is a quick video on Tig Welding Aluminum Lap Joints in 3f vertical position. But there are also other things to pay attention to. I like to use a #5 or #6 cup for tig welding aluminum using around 15 cfh of argon. 1/4" (6mm) thick 6061 aluminum bar stock tacked to a lap joint and placed in 3f vertical position. I set amperage to 210 as that was the max on the welder I was using. ...I tried to hold a fairly tight arc for this joint but I was shaking a bit with my arms reached around the camera. Sometimes I lengthen my arc while I am adding rod because that seems to help me not crap up my electrode tip. I usually move forward with a tight arc, but then back up and add rod. 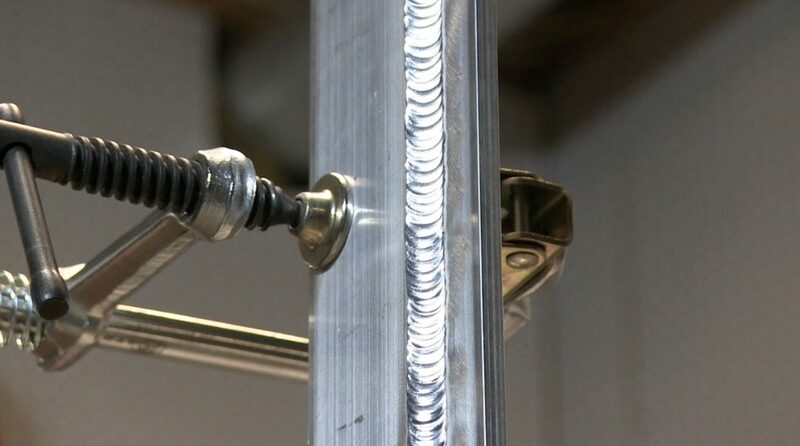 Just one of many techniques for tig welding aluminum lap joints. A joint like this gets really hot really quickly. or get a tig finger XL and just let it slide up the joint. Seem like a commercial? It is. Sometimes I have to stop and pay some bills. But I would not recommend it if I didnt really thing it will help nearly all of your aluminum welding where your hand is blistering before you finish the weld. you know exactly what I mean. 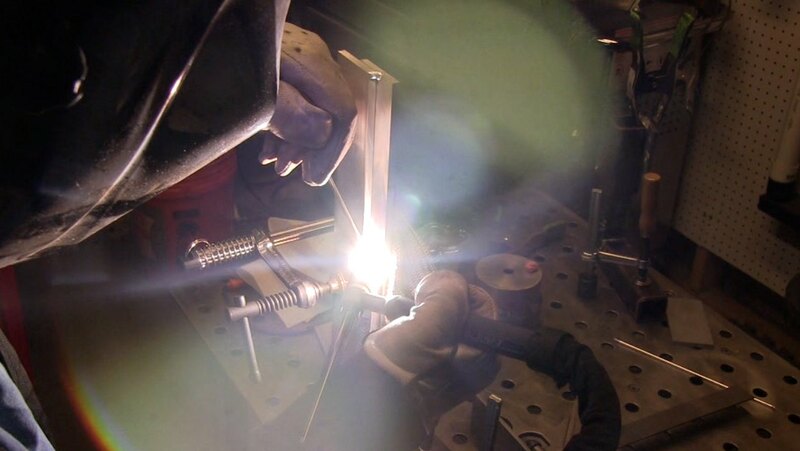 I get emails and comments on youtube all the time from welders who work on aluminum tanker trucks, or aluminum marine tubing, or handrails, or sanitary stainless pipe, or aluminum castings that need a preheat, or even pipe welds that require a preheat. I came up with the Tig finger first and then the XL came along for those jobs that were just plain hot. If you already have one, thanks for your business! if its not in the cards for you to order one today, then maybe a few videos from now, you will decide. Thanks for your support either way.